The new 6 Music schedule has taken a fair bit of bashing since the turn of the year. I used to enjoy my morning commute to the languid sighs of Shaun Keaveny and was mildly irked when he was shunted to an afternoon slot that I rarely have the chance to listen to, but I must admit to a growing fondness for Lauren Laverne’s replacement show. She has a great morning radio voice and while initially her playlist was a bit beige – a never-ending conveyor belt of close-miked singer-songwriters and glossy electro-infused indie from the moment I started the car until I pulled up at work, the past couple of weeks has seen some more interesting stuff creep in. She played a track on Friday morning though that made my heart sink to depths last felt around the second week in January. The Specials’ new LP was the Album of the Day and Lauren played their version of The Equals’ Black Skinned Blue Eyed Boys, a terrific early 70s stomper and lyrically, right up The Specials’ street. By comparison, The Specials’ version was too polite, too lite and sounded like a graduate from the Glen Ponder school of insignificant incidental music. It’s always a nail-biting time when old bands fanfare a return with a slightly altered line-up and brand new album and most of the time you’re left feeling nothing other than disappointed (see also The Clash or REM) and on this evidence, I fear one of our most important bands has taken a bit of a tumble. A mere blip, I hope. That Equals’ version though kicks like a mule, an aggressive and confrontational record that’s equal (arf) parts Slade and Led Zeppelin fed through a Brixton blender and left to run like a feral delinquent. The ‘solo’ alone is almost avant garde in execution. . Listen up now people…. 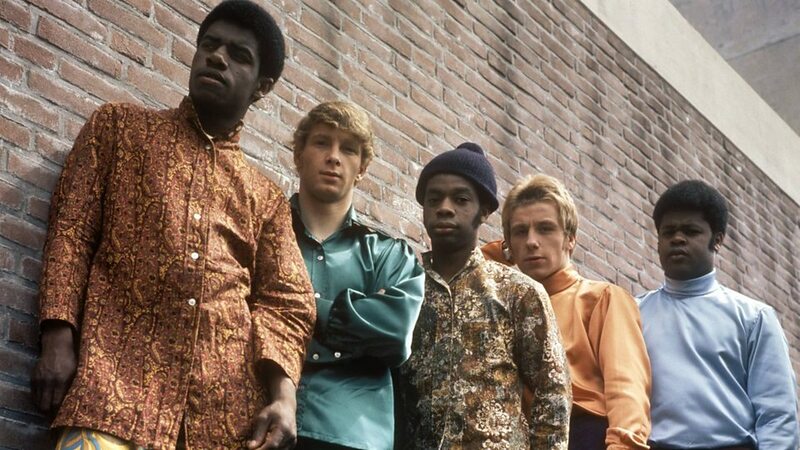 Recorded in 1970, its fist-pumping socio-political message was at odds with the band’s previous hits – you’ll be familiar with Baby Come Back – and is miles away from guitarist Eddy Grant’s future hits – and is all the better for it. 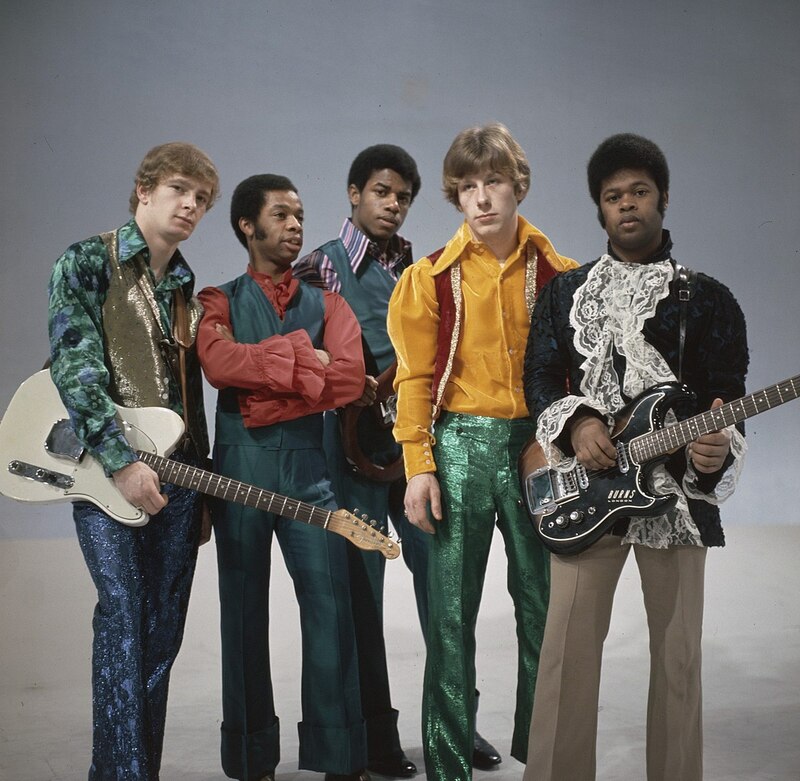 Dressed like Sly & The Family Stone and employing a set of vintage guitars that would have Orange Juice frothing with jealousy, Black Skinned Blue Eyed Boys sets the tone for the sound of the seventies; a toughed-up, roughed-up riffing groove, egged on by the hardest kicking of kick drums. Those Specials really should have paid more attention. As usual, prob agree with your every utterance ……….. me & Mrs SYB were talking aboot The Equals this very weekend ……. The Nellsta: “Eddy Grant?” God, I love my Missus. A great triple of 45’s – BSBEB’s, Viva Bobby Joe, and (the best) Baby Come Back! Defo the ‘missed oot’ band fae those 60’s, and yeah that includes ALL those ‘mod’ ones – Small Faces, Traffic, The Who, etc. Listen, a great song is a great song, and the Equals are a great song ………….. and then some. Oh, and BTW, you’re spot on wi’ the Specials vers of BSBEB’s, total beige aural wallpaper ………….. but 70% of new album is very ………… erm …….. special. Defo worth stickin with. Trust me, go there. (Double Oh!) Yeah, nearly forgot, they also did the original of ‘Police On My Back’ (see Sandanista). Is this version of Black Skinned Blue Eyed Boys the same as on ALL compilations??? The one you play is the one i’m looking for, but all i find is a mucht “softer” version…. I’ve no idea, to be honest. My version came from iffy sources a while back when |I was source g tracks for a compilation.